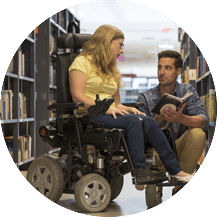 Advancing the ideal of disability inclusion and strengthening our community; connecting individuals and families to programs and services, and providing the tools to raise awareness and advocate for the rights of individuals with disabilities. Federation is consistently working to improve the accessibility and usability of the JFGW website. We strive to follow the standards of WCAG 2.0 Level AA as our guide for design and function.